This entry was posted in Current Affairs and tagged drone warfare, george lucas, obama, princess amidala, star wars. Bookmark the permalink. We’re all Jar Jar Binks-ians now. We can thank the propaganda machine, AKA the Main Stream Media, for much of the cheering. William Randolf Hurst was the true pioneer. He created the Spanish American War just to sell newspapers. We need a serious course correction. While Americans rot in front of their TV’s and Video Games the country is losing its civil liberties. The Republic is now an Empire. Well, good luck fighting a revolution if govt turns completely totalitarian with these 30.000 drones. 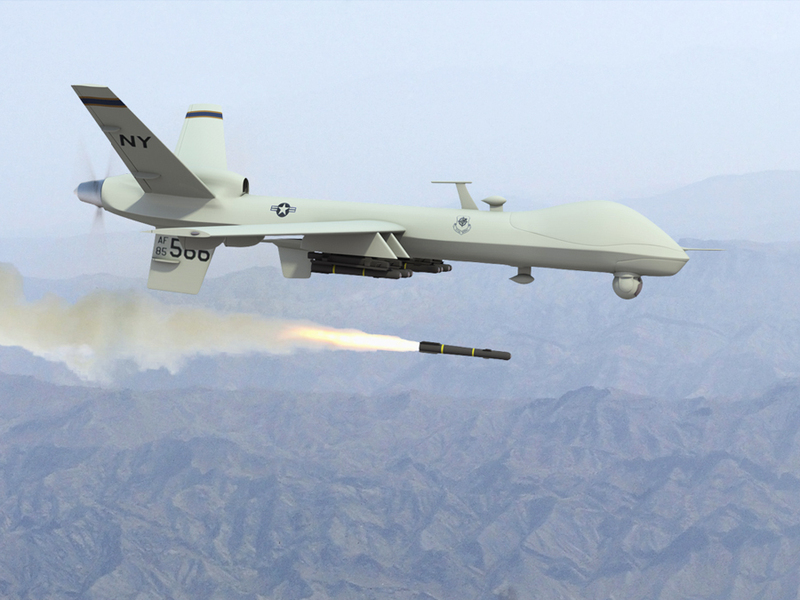 For “New World Order” to subdue it’s own citizens drones are the best option. If in case of a civil war some soldiers are against the govt, manned jets or helicopters are not so great. As soon as they’re out pilots can run away, or join the enemy, like recently in few cases in Libya. Drone operator sits behind a desk and loyal sergeant may be standing right behind him… Even if half of these operators wanted to desert and the rest was demoralized they will still do the job. The problem with drone warfare — as America recently discovered — is the drones are made with Chinese components, and these components may have security vulnerabilities that can be exploited. That is how Stalin won the war. “Keep firing, don’t step back, step forward or you will be shot”. Hey gotta get employment numbers up somehow. Get your home land security degree and you can be flying a drone in no time. A friend of mine has a MA in homeland security. No kidding. yeah I thought it was a joke at first but several colleges and universities are offering it. Do you know what type of courses your friend took? This made me physically sick! My family in Ukraine WW2 was burned alive in their homes, because some Nazi, gave the village idiot, a gun. a uniform and a wad of Nazi printed cash. I think we have been fed an alarmist misinformation. Every government department needs waffling paper shufflers and repor preparers. This degree just gives them the paperwork to employ bureaucrats not soldiers. Don’t contribute misinformation on this site. BTW the point about flying a drone was tongue and cheek. I don’t doubt that a lot of people who get these degrees will be pushing papers. However, judging from the images on the school websites that is definitely NOT how they are portraying the career. No I wasn’t joking, but because this site is not mainstream, we assume all contributors are learned, are not pushing a political agenda, and are just contributing information that has some truth and substance. I was gullible to believe untill I looked it. I agree Marketing departments can get ahead of themselves and use flashy pictures to rectruit students, so I apologise for my abuse.